Our Geomax 12" Sporty Plastic Rulers are renowned for their strength. They are considerably heavier & thicker; which endows them with much power so as to tolerate harsh conditions. These rulers are made of quality materials and are finished to perfection. 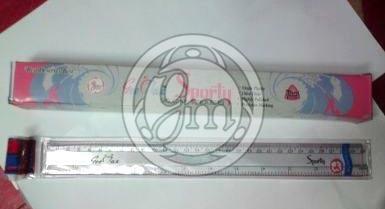 We are known as the trustworthy Manufacturer and Supplier of 12 Sporty Plastic Rulers.